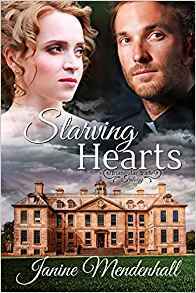 Destined for disappointments, Peter and Annette both endure disgraceful situations. Will Peter’s faith sustain him through overwhelming setbacks? Can Annette overcome her doubts? Or will their starving hearts yield to the machinations of a mad man? 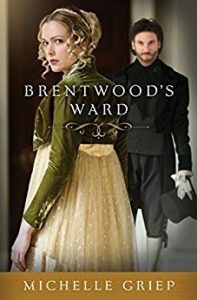 Place an unpolished lawman named Nicholas Brentwood as guardian over a spoiled, pompous beauty named Emily Payne and what do you get? More trouble than Brentwood bargains for. She is determined to find a husband this season. He just wants the large fee her father will pay him to help his ailing sister. After a series of dire mishaps, both their desires are thwarted, but each discovers that no matter what, God is in charge. Torn Between Love and Duty: He devoted his life to his country and his love to a British lady. He came to the colonies for one reason: revenge. Drake Amberly, Duke of Hawk Haven, won’t leave South Carolina until he’s unmasked the colonial spy who killed his brother. Yet the more he sees of spirited Elise Cooper, the more he’s moved by the happiness she brings him…never suspecting the dangerous secret she hides. Her faith drives Elise to spy for the rebels, dreaming only of freedom for her homeland. Then she meets Drake, and learns that love could be hers, as well. When his pursuit of “The Fox” brings him dangerously close to the truth, she’ll risk everything to prove that love and forgiveness are all they need. 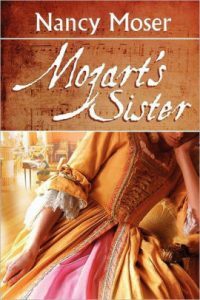 Young Nannerl Mozart’s life seems to be the stuff of fairy tales–traveling far and wide, performing with little brother Wolfgang before kings and queens. But behind the glamour lurk hardships, illness, and constant financial worries. 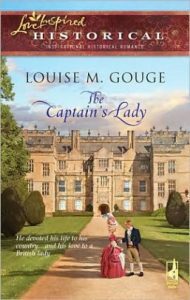 Their father, Leopold, is driven to bring his son’s genius to the attention of the world. But what of Nannerl’s talent and aspirations? And what of the man she loves? Readers will be captivated by the sometimes heartrending–and ultimately inspiring–story of a woman who struggles with her dreams and her faith in a world where a woman’s place was at home.